Antipati: PSK#2-DVD - årets julklapp! 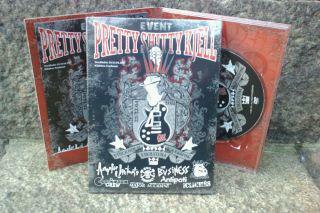 "Finally it's here, 2011 PSK DVD.... get your copy through an e-mail... you're nothing without it! Only 160 SEK + postage... and for that you get eight top class bands from the Punk'n'Oi! scene, 26 songs in 86 minutes....even Santa wants it!"